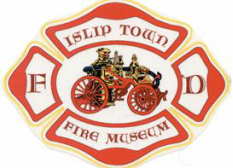 ​& EMS Museum and Education Center located at 4 Courthouse Drive in Central Islip (directly across from the Long Island Ducks baseball stadium - use "Bethpage Ballpark" for GPS). Free parking is available in the county parking lots located immediately west of the museum. to 3 years and can reduce up to 4 points off their driving record (FREE DMV reporting is provided by the issuing entity). For questions regarding this course, contact Museum Historian Tom Rinelli (firescueguy@gmail.com).